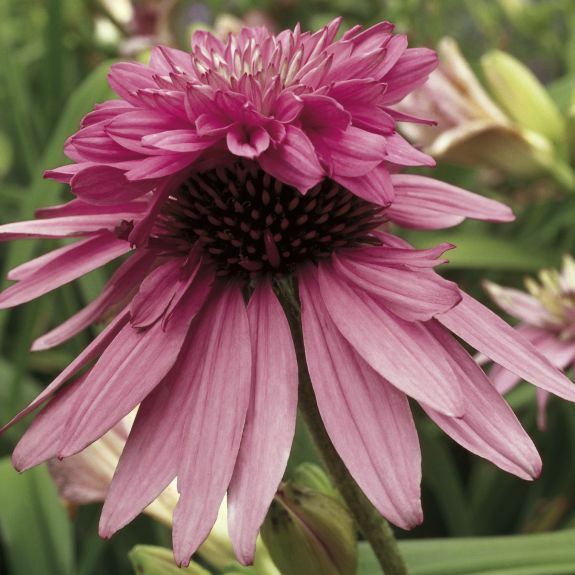 Echinacea purpurea 'Doubledecker' is a special two-tiered coneflower with rose-pink petals around the sides and top of each flower. Single flowers are occasionally produced. The flowers develop more completely on mature plants, but this one is worth the wait! A special variety that belongs in every coneflower collection. Sometimes incorrectly listed as "Double Decker".